These are pictures of the Venice Skyline as one approaches Venice. 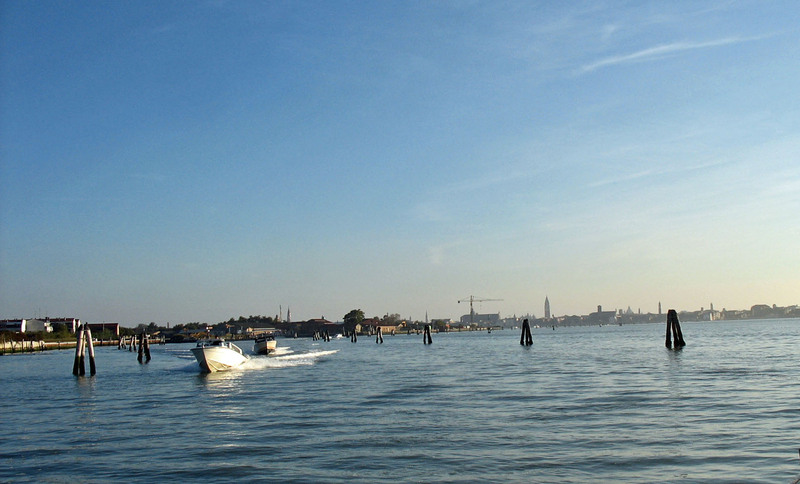 The photographs were taken from the sea as one approached the city of canals. In the first photo you can see the dome of the San Simeon Piccolo church. The Piaza San Marco is visible in the distance in the next picture. 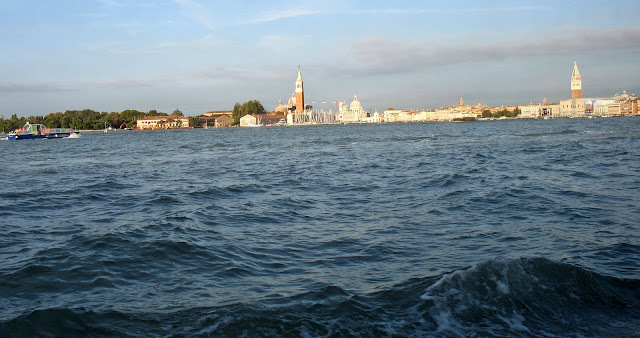 Venice itself comprises of 117 islands and the shoreline of the city is quite vast. The Piaza San Marco is more clearly visible now. The choppy sea is in the foreground. 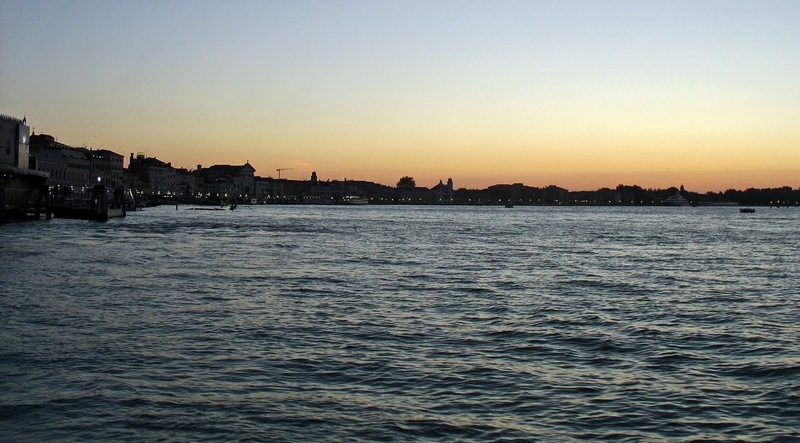 Venice at sunset and the effect is that of a silhouette of the Venice Skyline. If you are looking for more headers try the label "Headers" for both nature and urban landscapes. If you want skylines of other cities, like that of Beijing, Shanghai, Bangkok and Mumbai click the label Skylines.